Glidewell Laboratories provide a wide range of dental products and services. Thousands of orders are placed on a daily basis across the US and most of calls received by our customer service are order pickup request from dentists. We want to develop a next-generation customer management system to automatically schedule pickup of Glidewell orders. This project automatically schedules pickup of Glidewell dental products using the AWS DeepLens device. 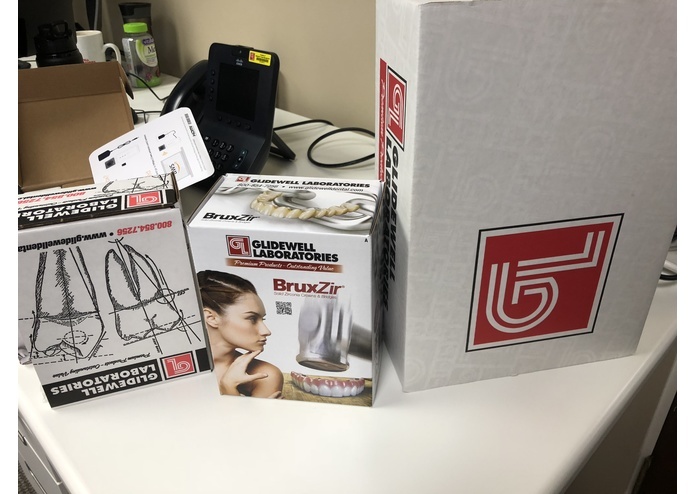 When a dentist from a dental practice wishes to place a new order and schedule a pickup, s/he holds up a Glidewell dental product and stands in front of a DeepLens camera. 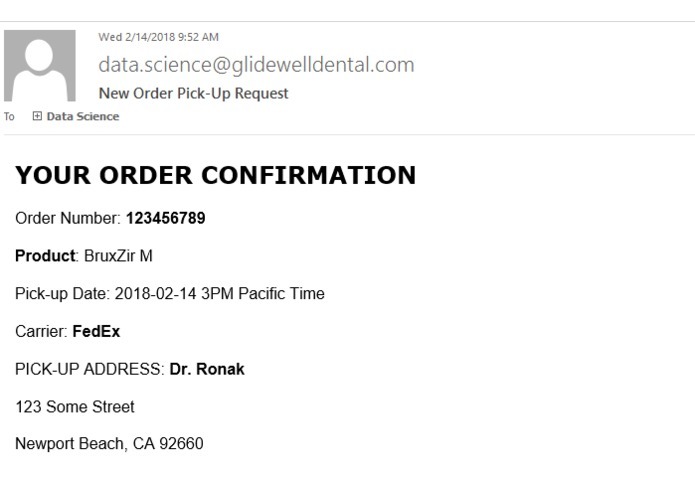 After recognizing the dentist's identity and the product information, the system automatically places the order, schedules the pickup, and send out the confirmation email. Image Datasets: The balanced training dataset encompasses four different classes, i.e. BruxZir S, BruxZir M, BruxZir L, and no BruxZir, each of which contains approximately 500 images. We utilized the Amazon SageMaker image classification algorithm to train a classification model for Glidewell dental products. The last layer of a pre-trained, 34-layer convolutional neural network (ResNet) was adjusted to accommodate the new labelling rules. The input images have the same dimensions of 3 * 512 * 512. After training and optimization, the model takes the video stream from DeepLens and publishes the classification results to AWS IoT. 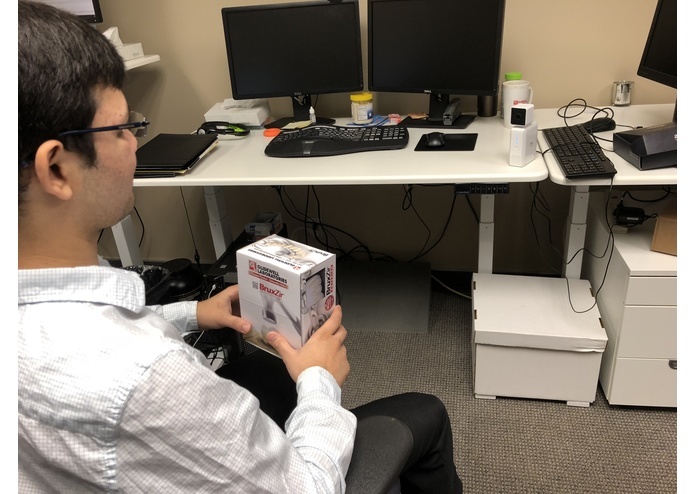 Face Detection and Recognition: The DeepLens sample project provides a face detection model to allow the AWS DeepLens device to detect the faces of people. The model takes the video stream from DeepLens as input and publishes the images of faces that it detects. Subsequently, AWS facial recognition identifies a person using the provided repository of face images. The repo for this project is private.